Now do I have one very simple and healthy little pasta dish for you! Try my spaghetti with broccoli, garlic and chilli. Per the spaghetti packet instructions cook until al dente in salted water. In a medium frying pan, heat the olive oil and add the garlic and chilli. Cool until chili is starting to brown, then add the broccoli and a splash of water, salt and pepper. Then place the lid on and steam for 2mins. Meanwhile drain the pasta. Maintain some of the salted water. Add the pasta to the frying pan and stir with the vegetables. Add the salted water to give a saucy texture. Check seasoning and serve with a glass of crisp white wine. 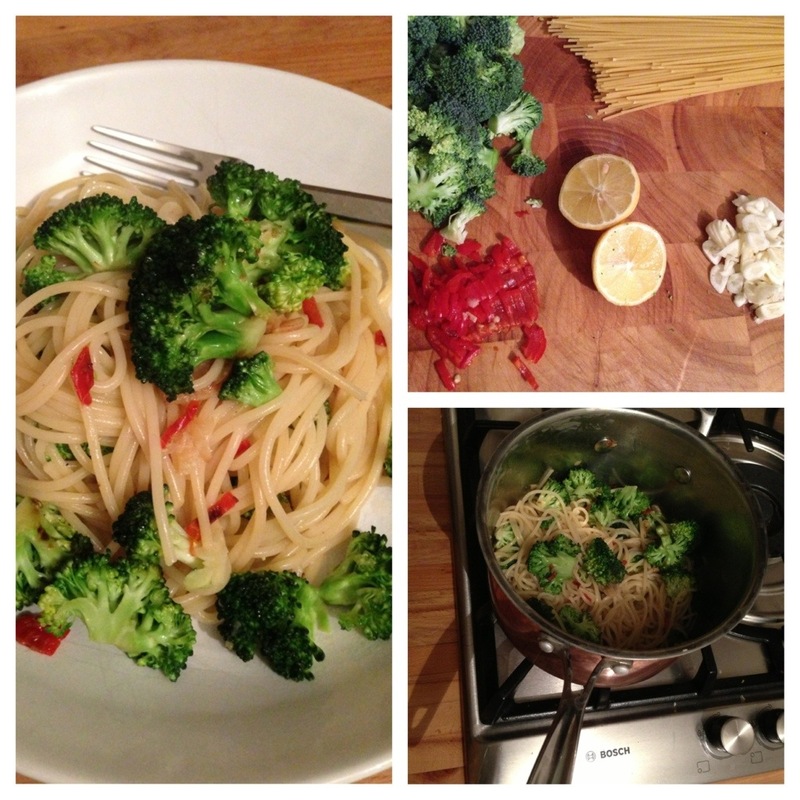 This entry was posted in Ramblings and tagged broccoli, chilli, garlic, healthy, recipe, simple, spaghetti by whysamiam. Bookmark the permalink.